Chaps. Rodeo chaps, show chaps, shotgun chap, bat wing chaps, chinks, wooly chaps. How to measure for chaps. Information on different types of chaps. 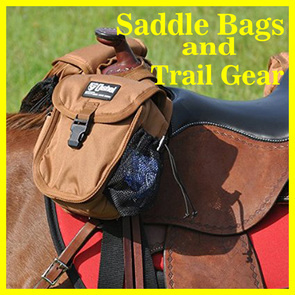 Chaps are most often seen in the world of horse shows, rodeos, ranching, trail riding and other western ways of life. They are used as an outer layer of protection for the legs in most cases. 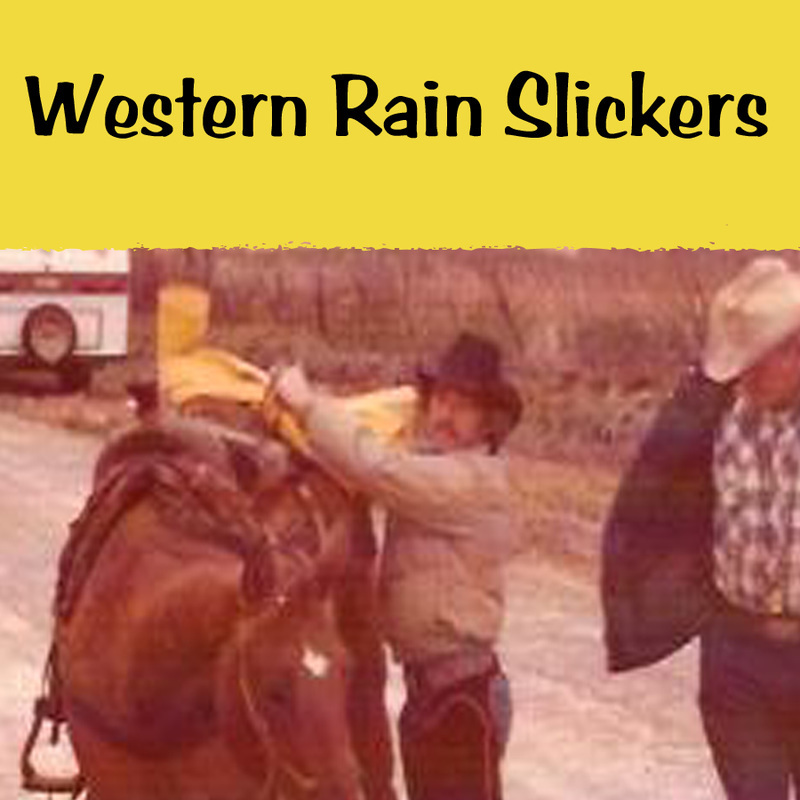 Other times they are worn for the classic western style, but usually when on or around animals of some sort. Western style, absolutely. Chaps are worn as costumes for Halloween also, western parties and skits involving a cowboy such as a "rodeo rider" or "gunfighter". Why? Chaps are easily recognizable as belonging to a Cowboy. Here you will find useful information on different styles of chaps and chinks and how to measure so you get the correct fit. This is a pair of basic shotgun chaps that belonged to my grandfather. You can see in the pictures that these zip all the way up. Nothing fancy about these, but they are good chaps. Shotgun Chaps are different in that they are more closely fitted and closed all the way down the leg. Heavy duty zippers run the leg length of the chaps. Chap like these can vary in color also, have fringe or be custom made to the wearers specifications. ​Weaver Leather has split leather shotgun chaps that buckle in the back and tie in the front. This color is available in 4 sizes. The full grain leather chaps from Weaver are also available in 4 sizes. This is the kind of chaps that I have. I won certificate at a rodeo for a custom pair of chaps. So I went to get fitted for them and picked out the color. They have fringe all the way down the leg and I had my initials put on them at the bottom. This is a good video that shows how to measure for chaps. Even if you are not having chaps custom made, you can still use this as a guide to getting the correct measurements if you are buying your chaps online. ​These chaps from Hilason are adjustable to fit waist sizes 50 to 55 inches. Thigh- 22 inches. Inseam 30.5, Outseam 42 inches. They are made of full grain oil tanned leather. Weaver Leather also has a chaps with fringe. These are made of split leather and have a silver plated concho buckle loop and tip set. These come in small or large. ​Hobby Horse has a nice collection of chaps. These are made of ultra suede. they have a 2 button back and a silver buckle set in the front. Hobby Horse also has a scalloped edge style. See more colors and sizes from Hobby Horse. Hobby Horse has a good idea... add some stretch. They have show chaps with an almost invisible strip of sturdy elastic down the leg. ​These are split leather chaps that are sueded on both sides. They come in 4 different unisex sizes. Rodeo chaps are also called Batwing Chaps. You might be familiar seeing this style in Rodeo. Bronc Riders and Bull Riders were these. Rodeo Chaps are often characterized by a bright mixture of colors and fringe. Unlike the full length zippered leg on a pair of shotgun chaps, theses are only fastened above the knee. 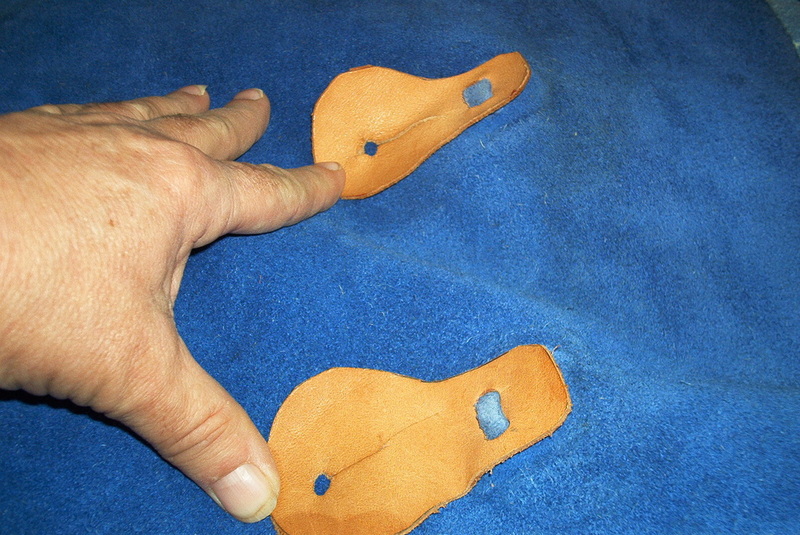 Some will have a hook type snap or buckle closure and they generally have a wider cut at the bottom. 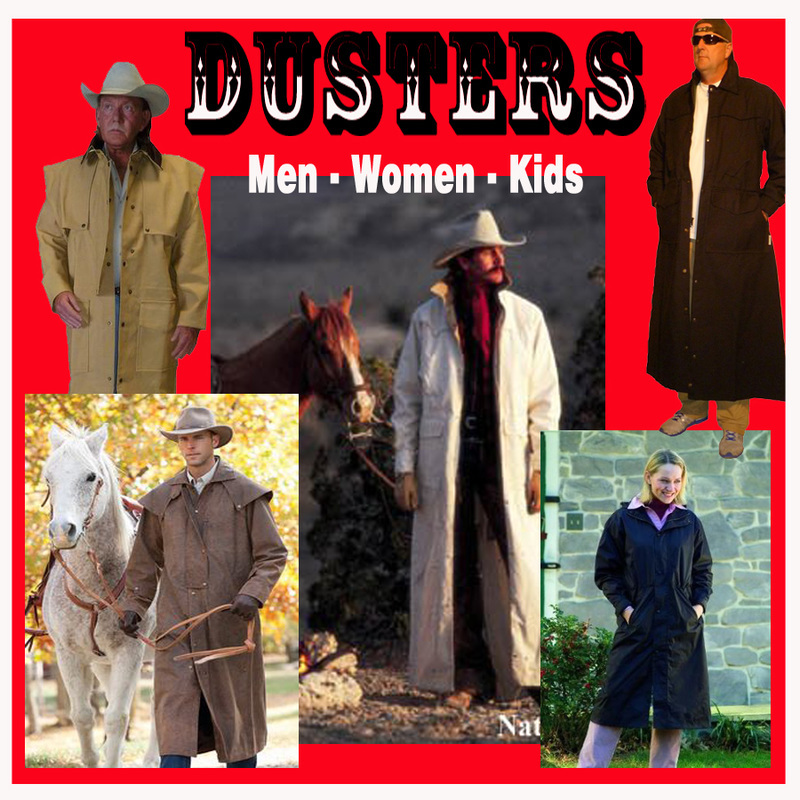 ​Here are some rodeo chaps in adult and youth sizes. These are made of high quality genuine top grain leather and skirting leather trims. They have 12 inch fringe on the side and 3 inch fringe on the bottom. They have solid brass hardware. These are adjustable designed to fit waist sizes 24 to 34 inches. Thigh is adjustable from 14 to 22 inches. The length 32 inches including fringe and the inseam is 25 inches. The black and turquoise chaps are 36 inches long including fringe. The waist can be adjusted from 26 to 36 inches and thigh can be adjusted from 17 to 24 inches. This pair will fit waist sizes 32 to 42 inches. They are 38 inches long and the thigh can be adjusted from 20 to 27 inches. Hilason has several other colors and sizes. These are examples of a few more. See all colors of Hilason Chaps and chinks for youth and adult. These chinks from Weaver are made of full grain oil tanned leather. They have fringe and conchos. They buckle in the back and have a tie closure in the front. ​These chinks have an adjustable waist that will fit 32 1/2 to 36 1/2 inches and thigh sizes 18 1/2 to 26. Hilason also has these colorful chinks that are 30 inches long including the fringe. These are 29 inches long and have 5 inch fringe. They have an adjustable waist size 28 to 38 inches, thigh 18 to 26 inches. 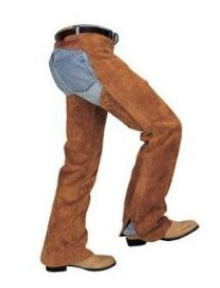 These are "one size fits most" top grain leather chaps that are designed to wear when handling hay. If you are looking for kid chaps for dress up or play here are a couple of sets below. 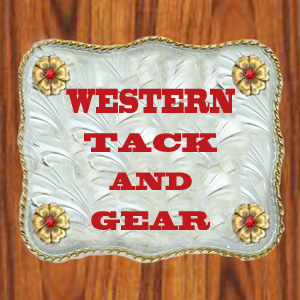 For more kid chaps and adult men and women costume quality chaps, visit my Western Costume Page. Great fun for kids to play cowboy. These come in sizes to fit 2-3 year old up to 11-12. Kid size chaps and vest set. Perfect for school plays a Halloween costume or dress up play time fun. 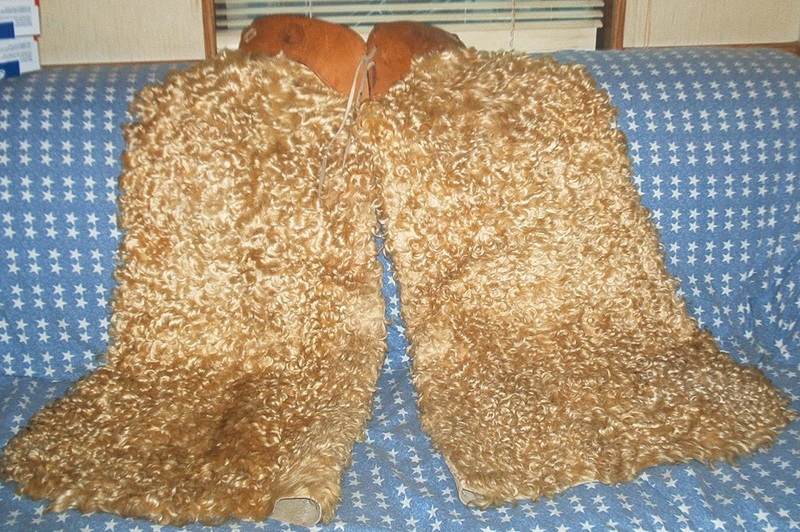 I still have these wooly chaps that belonged to my grandfather. They were made in Texas in the 1960's. 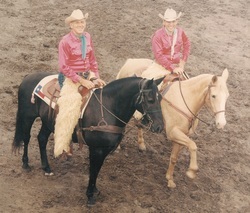 He wore them as part of the performance out fit in a horseback drill team, The Texas Range Riders. 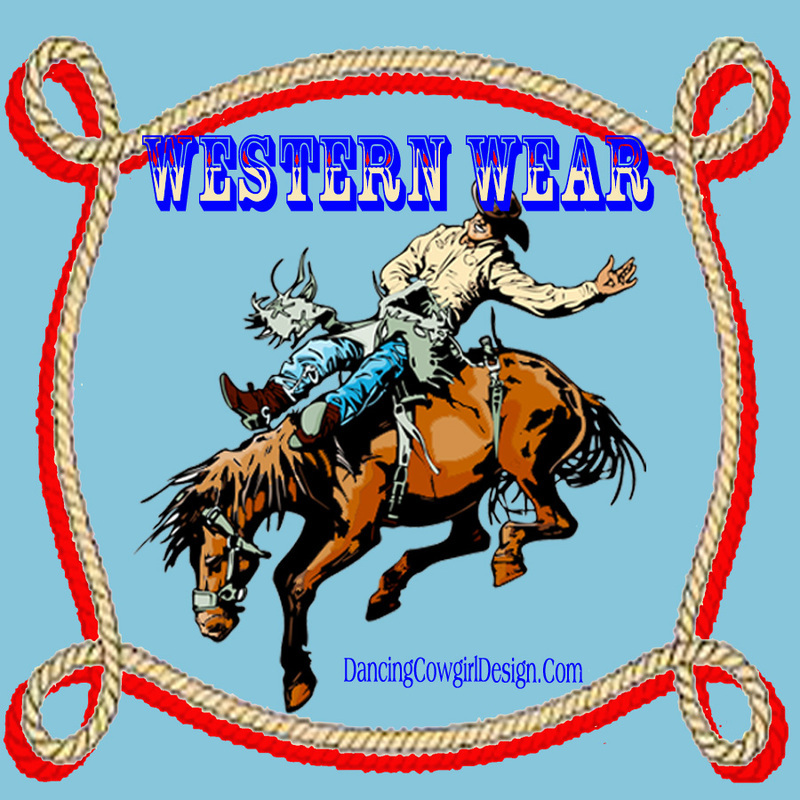 The were an organization that performed at rodeos and took part in parades and other events. 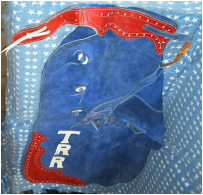 Below is another pair of chaps that he had to wear with the Texas Range Riders. I wanted to show them as another example of ways that custom chaps can be made. These have rough leather mainly, and are accented with slick red leather. They do not have snaps or buckles on the legs but as you see in the picture below, there is a leather strap that ends in a knot. That knot goes through the leather button hole on the opposing side. 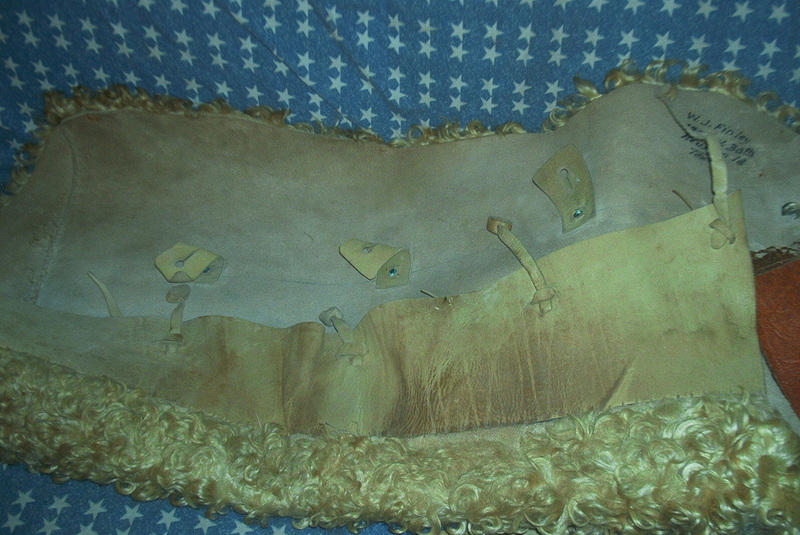 Here is a picture showing the belt part of the chaps with leather lacing. There are extra holes in the belt so that the size can be adjusted in the back. This is done by taking out the laces and moving the belt over one or more holes then lace it back. There is also strap and buckle closure in the front. This is where you will find ​Chaps To Wear For Motorcycle Riding.